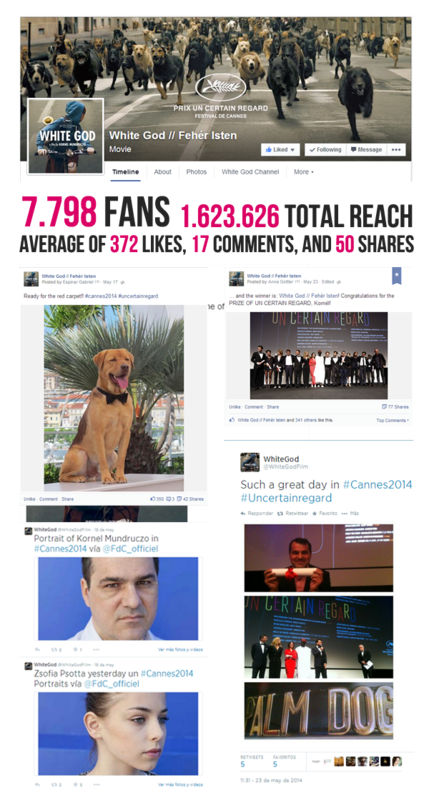 The Film Agency managed the film social media campaigns of The Match Factory during Cannes Film Festival including acclaimed films like White God (Un Certain Regard Award), Snow in Paradise (Un Certain Regard) and Le Meraviglie (Grand Prix du Jury – Official Competition). We prepared the ground before the festival with Facebook Ads and exclusive contents and then covered all the festival experience with pictures, news, interviews, reviews and backstage stories from the premieres to the awards ceremony. #WHITEGOD Kornel Mundruczó’s sixth feature film tells the tale of an eternal friendship between a girl and a dog in a world where ancestry can decide on life or death. See more on White God Facebook and Twitter profiles. 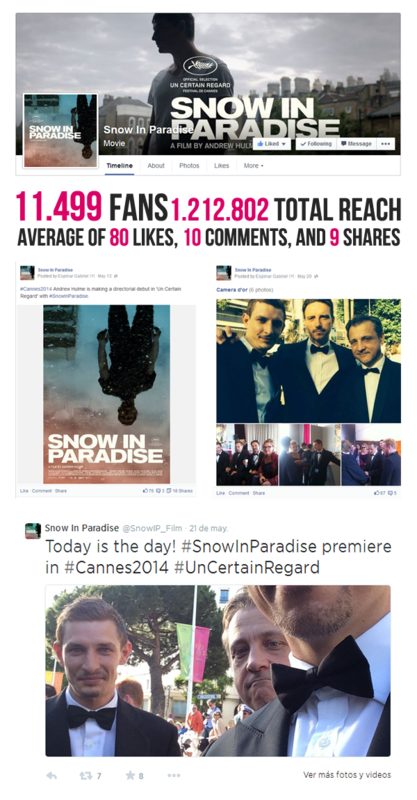 #SNOW IN PARADISE is the first feature film by the well-known editor Andrew Hulme. It’s a hard-hitting thriller based on a true story of one man’s journey to control his violence through religion. It’s a journey of redemption that takes us from the estates of Hoxton through ever-changing Dalston to the world of the Islamic whirling dervishes.Selected in#UnCertainRegard. #LEMERAVIGLIE is the second film by 32-year-old director Alice Rohrwacher wich held up the Grand Prix in Official Competition. We shared all the important moments during the festival, from the premiere to the clauruse ceremony.